Let's kick off Summer with a Re-Visit to Mia Svensson. There are so many new people here since Mia was originally chosen as Artist of the Month. We hope you enjoy getting re-aquainted with her. 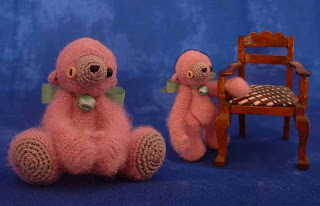 Mostly I crochet little critters, like bears (I do love that Danby-pattern, as you can tell on my website! ), dragons, dodo's, ferrets and so on, and I'm always on the look-out for more interesting patterns! I also like to work in small scale. The smaller the better, I say! That, and it's easier to sneak a little huggable in your pocket than a big stuffed one. 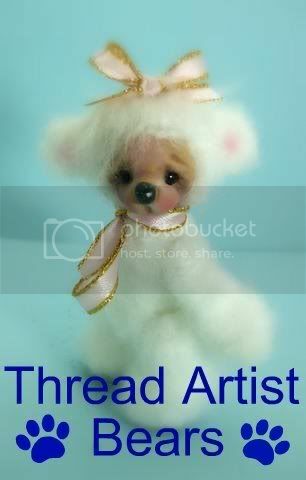 *ha, ha* I also make clothes for BJD's (ball joint dolls), photograph, draw, sew dolls and anything else that tickles my fancy. I have a vivid imagination (to much sometimes), and I get ideas from all over the place, be it a colour, a sound, a shape in a tree or even a lamp that sparks my imagination. Guess I'm a magnet for those weird inspiration-particals that floats around! I like to combine and mix (like my dragon-danby), use eye-cathing colours, or just plain play around and have fun! I've crafted as long as I can remember. It's just something I have to do to keep me sane! My inspiration came from my mom. 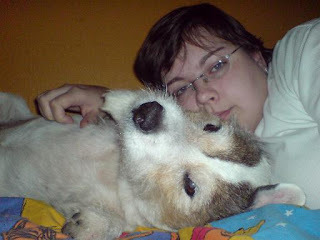 She is the one who taught me to sew, knit and crochet. I owe a world of thanks to her for giving me that crafty gen! 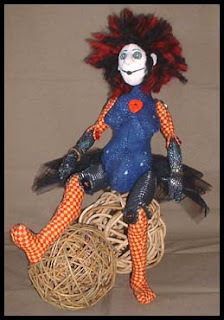 I've made all sorts of things, from small trolls out of clay, to dollhouse-dolls, sewn bears and knitted toys. 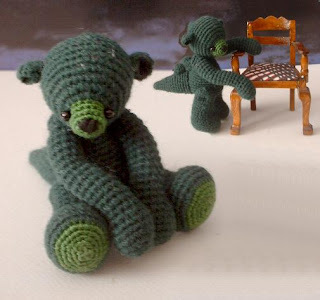 It wasn't until a few years ago I started to make crocheted bears and other "huggables", when I was browsing the web and came across Berta's Threadted-site, which lead me to Thread Animals, and from then on, I was hooked! 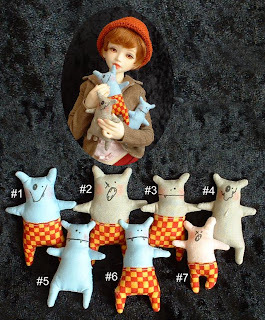 I usually try keep the first creation of any pattern I try out, wich means I have a great deal of critters around! I love to make and give away creations I've made to my family, as it shows them how much I care, and they seem to like it too! 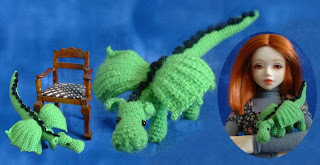 In the future, I hope to be able to "design" my own crocheted creatures, and be able to write down and then sell patterns, and have people wanting to buy them! That would be great! To others, I say: Don't be afraid to try something new! Just go for it, and see where it leads you! You might be surprised be the end result... Good Luck!